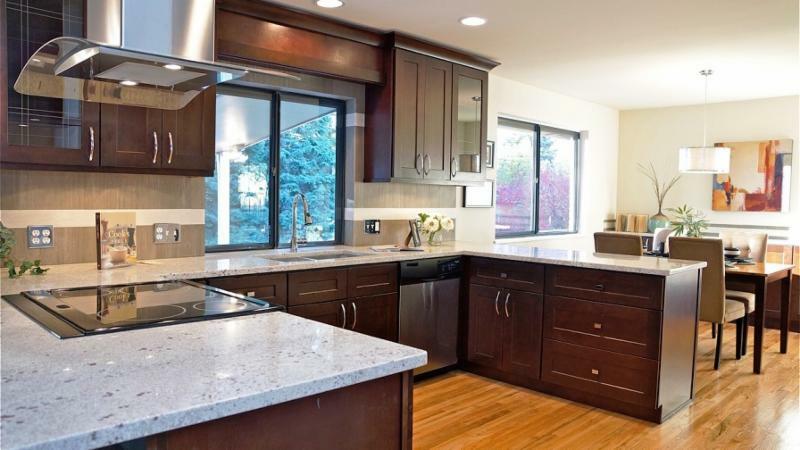 Kitchen cabinets form a major part of any kitchen and all through their life they get exposed to water, steam, and many other damaging elements. They endure all these for many years before they break down and need a replacement. What are the signs that indicate that the replacement time for kitchen cabinets has arrived? Read on to find out! Water Damage: If you face difficulty in closing your cabinets because they have got swollen or the wood has started to warp, then it suggests that there is a leak somewhere that is ruining the cabinet. You need to fix that leak and replace the cabinet. Others signs might include building up of mold, de-laminating of surfaces, bubbling up of cabinets from outside or inner surface etc. Soft Cabinets: If, on pushing on the side walls of your cabinet, you find it to be soft, then you need to take it seriously and go for a replacement. This softness indicates that the cabinet is so badly damaged that it can fall apart anytime causing damage to person or things around. Cabinet Function Is Not Right: The cabinet might be in good condition, but the function is not right. It is either too high to access or opens up in a wrong direction leading to slamming in the adjacent one. It is also possible that drawers in the cabinet got stuck or don’t close properly and hence you have no other option than to searching for good cabinets on reputed sites like Rêvecuisine and replace it. Cabinet Box Gone Bad: The cabinet box should be strong enough to re-drill new holes if you want to just change the cabinet doors for the new look. If it is worn out and cannot support new hinges, then it is time to change the entire thing. Moldy Cabinets: If there is too much moisture in the kitchen or there is any water leakage, then mold can grow easily. If caught in initial stages, you can clean it, but if it has grown too much then you need to replace it. This is important for the health of your family members too as mold can cause a lot of health issues. It’s always wise to replace the cabinets when any of the above issues surfaces because repairing won’t be an economical and sensible option in such cases.